Since I’ve been on a”writing” break, I decided not to do a one-poem-a-day project during National Poetry Month but I have been celebrating poetry and the arts! The month kicked off with me going to hear a great poetry reading hosted by CSM at Otto’s Shrunken Head, a little tiki bar on the lower east side next to the corner of east 14th street and Avenue A. It was a great reading. The features were amazing and so were the open mic’ers. I participated as well. I read a piece named “A Poem for the Road”. It has been a favorite in many venues. Later that night I went to hear 2 jazz legends at the Blue Note: Stanley Clarke and Ron Carter. Another great jazz artist, Russell Malone played with them also. The concert was great and I enjoyed it immensely! I visited the dressing room and met the artists. I told Stanley Clarke about the time that we met in Warsaw, Poland. I got his autograph and Ron Carters. They signed the back of a note page that I had used to record notes about significant news headlines from the years 1962-1965 when I was a child growing up Greenville, South Carolina. When I began to tell them what the jots were about, Ron Carter asked me what type of project was it? That’s when I told them that I was a poet/writer and they began to inquire more about my work. Of course, I was not prepared. To all my writer friends, especially those who are new to this world like me, think about keeping a card that summarizes your art work. You never know who you will run into. My meeting these legends of jazz was not planned. I was actually persuaded to go and get in line to meet them by someone that I had just met at the concert! 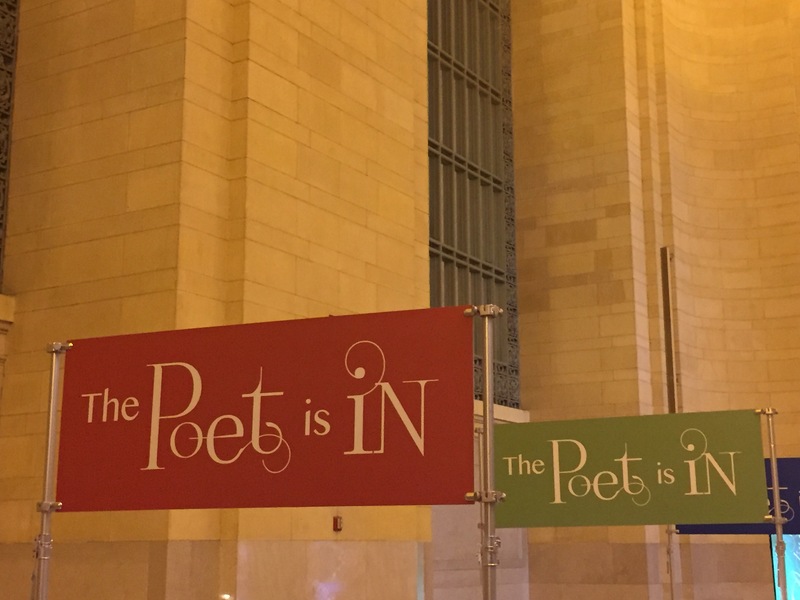 Enough for now… My next post will cover my visit to “Poetry in Motion” at Grand Central Station, my visit to InspiredWordNYC’s 7 year Anniversary, my return to the Blue Note for the 10:30pm show and the late show afterwards. Right now I’m going to “great weather for Media’s” Sunday afternoon poetry event. If you are in the area and would like to join me, click the link below for details.